Whether you prefer Neoclassical estates or minimal modernism, LA has a mansion for all tastes. Let’s be honest: most of us will never have $30 million to drop on a beach house with panoramic coastal views or even a few million for a modernist retreat nestled high in the Hollywood Hills. The good news is that, for some reason, the people who can afford these homes don’t actually want to live in them and list them on Airbnb to make a few extra bucks. So, if you’re looking to live like a celebrity for a night or three, here some of the most opulent, spectacular, and storied homes in LA that are currently available to rent. Looking to disappear for a while? Try the luxurious Edwardian estate of notorious escape artist Harry Houdini. 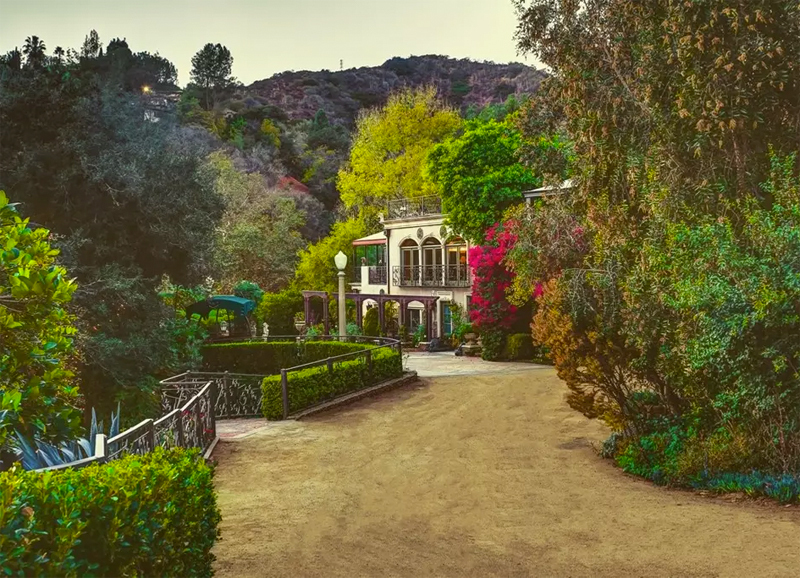 The building was damaged in the 1959 Laurel Canyon fire but has been restored and still features caves, hidden tunnels, terraced gardens, and a deep-water tank where Houdini reportedly practiced his underwater escapes. Sleek modern lines, floor-to-ceiling windows, and a large outdoor deck complete with spa tub and fire pit make this Hollywood Hills home the perfect backdrop for a Bret Easton Ellis-worthy A-list party. If your list is a little more on the B-side, that’s fine too. 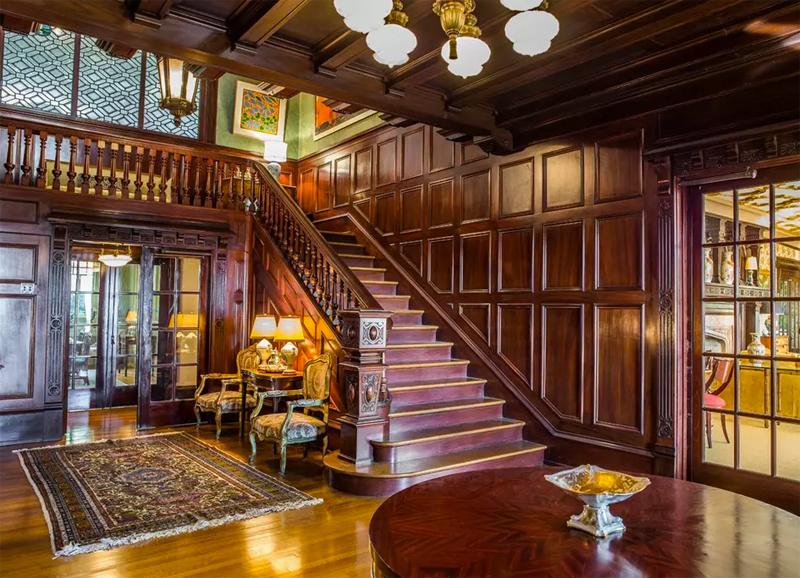 If you’re a fan of old-school glamour, then you can’t pass up this breathtaking 1913 craftsman style mansion, just a short distance from the heart of Hollywood. Grab your smoking jacket and enjoy a martini in the over-the-top ballroom, or head to the games room for a spot of billiards. 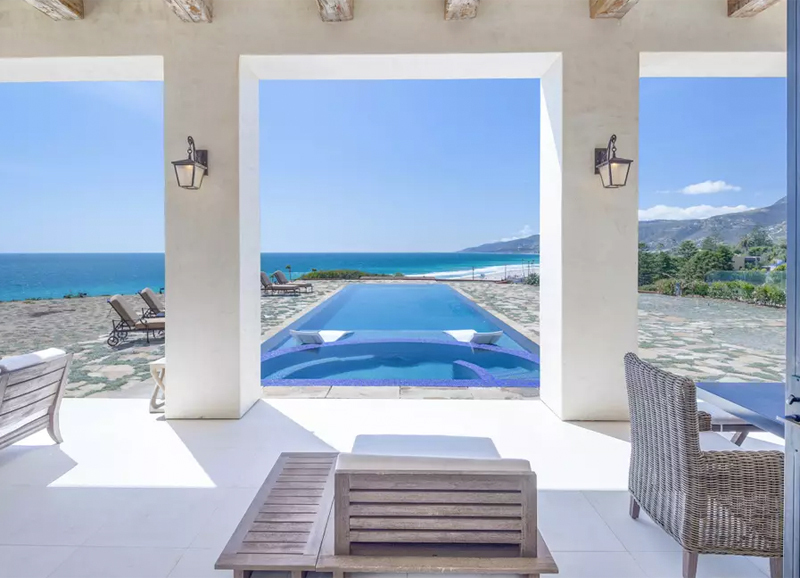 Overlooking legendary Zuma Beach, this $30 million Tuscan-inspired villa boasts 440 feet of bluff frontage, with incredible coastal views from almost every room in the house. Add to that a cinema room, and a pool and spa with outdoor fireplaces, and your weekend plans are set. 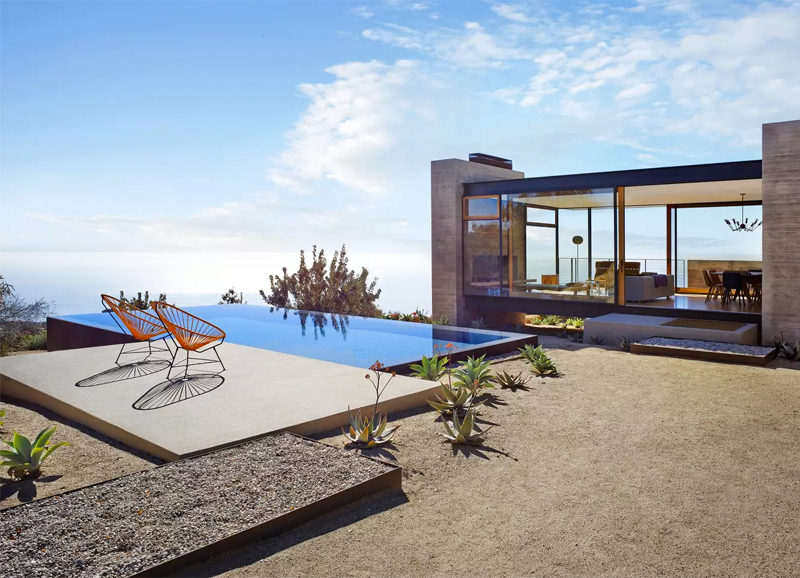 Designed by legendary architect and environmentalist Harry Gesner, Ravenseye is an incredible fusion of gothic cathedral, Malibu beach house, and modernist minimalism. 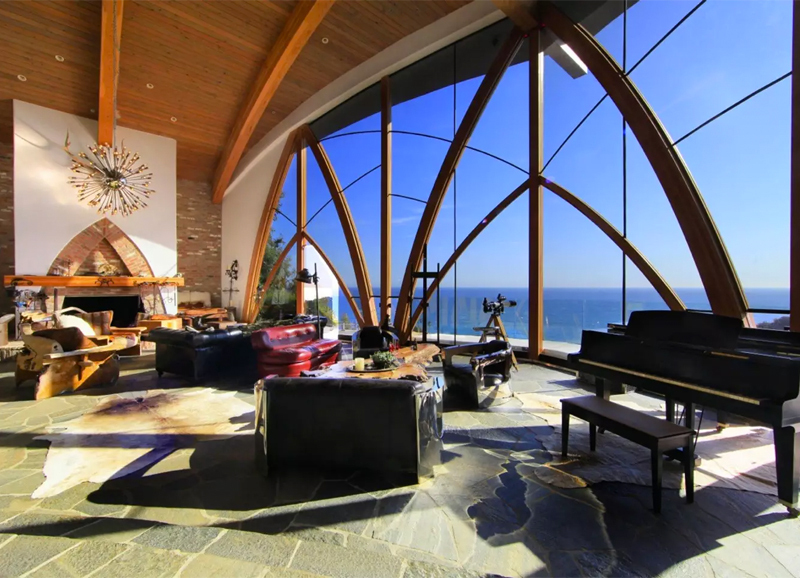 Featuring 30-foot vaulted ceilings and breathtaking arched windows with ocean views, along with a pool, fireplace, and stone mosaic floor, this is a truly unique place for your Malibu beach party. “Presidential” is an adjective that may have lost some of its descriptive weight over the last few years. 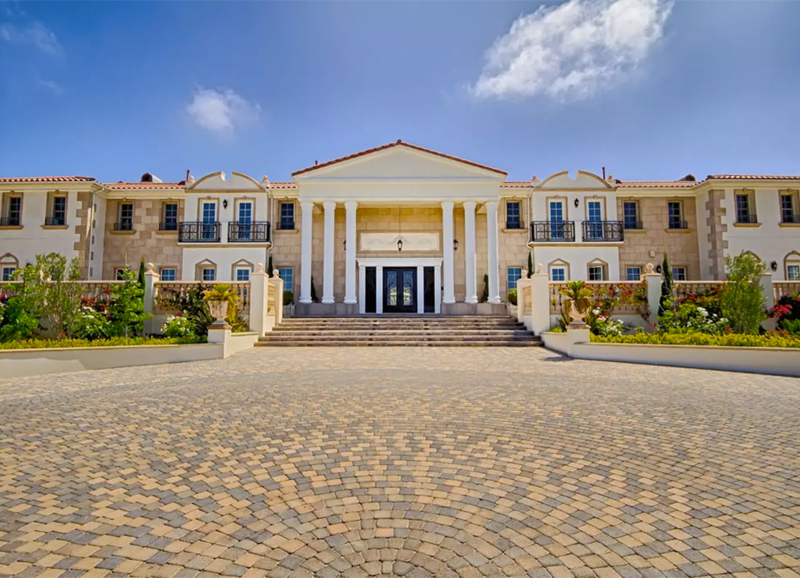 Regardless, the kitsch Neoclassical vibes of this Malibu estate will certainly appeal to those who love power (political and otherwise), and at around $9,000 a night, you’re going to need quite a bit of power (or a ton of friends) to pay for it. The simple lines and spare aesthetic of this secluded mid-century retreat are perfect for getting back to nature—or for a few weeks of post-rehab self-reflection, as the case may be. Floor to ceiling windows provide panoramic views of the Pacific Ocean, the Santa Monica Mountains, and even Catalina Island. 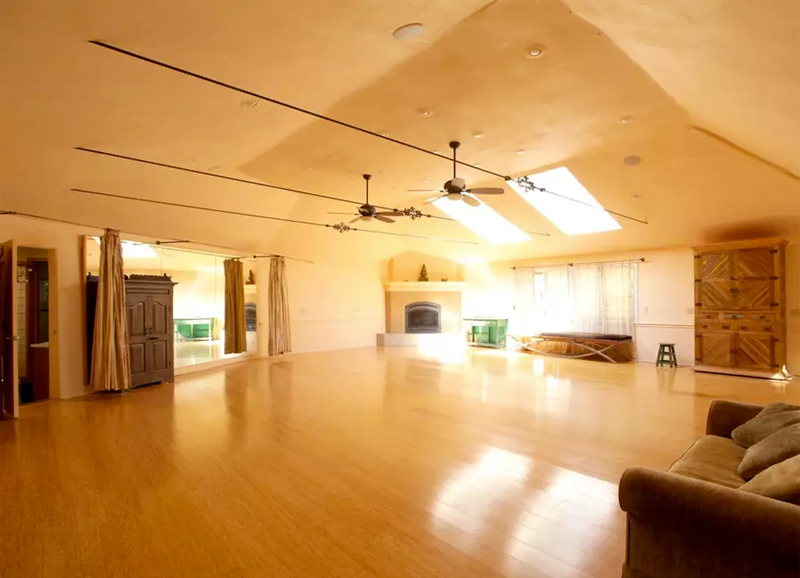 If giant dreamcatchers, yoga, and the low-key hippie glamour of Topanga is your thing, this light-filled sanctuary will check all the boxes. Located on a lush, 40-acre retreat in the Santa Monica Mountains, it comes with a private 1200-square-foot yoga studio. 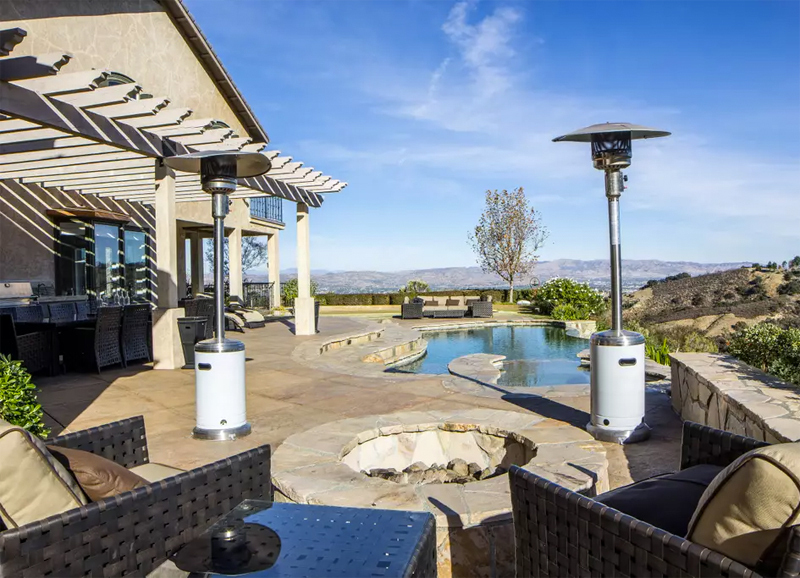 For around the same price it would cost to dress in head to toe Yeezy, you can find out what it’s like to live like a Kardashian, high in the Calabasas Hills. This villa features a cliffside infinity pool and spa, along with a gym, fire pit, and panoramic mountain views. Elvis shared this hilltop Beverly Hills estate with his wife Priscilla and his daughter Lisa Marie in the late 1960s. 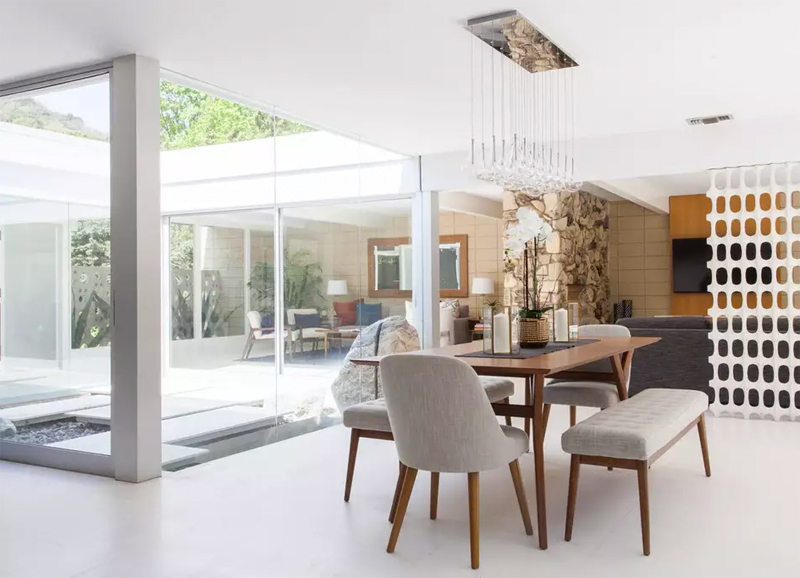 The house retains its original, mid-century vibe and features a pool and spa, as well as views of the Valley and Mulholland Drive. There’s also a chef’s kitchen where you can whip up a deep-fried peanut butter and banana sandwich for the full aging-rock-star experience. 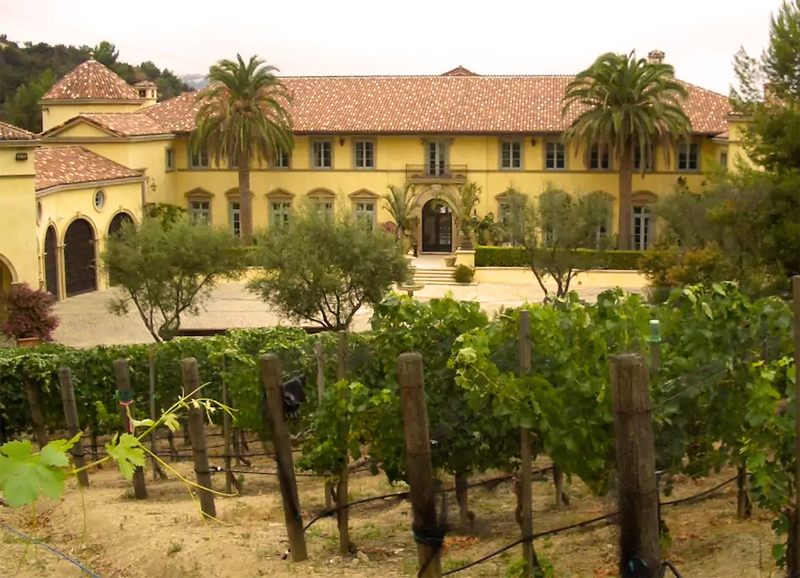 At $10,00 a night, this sprawling, 5.6-acre Beverly Hills Estate is not cheap, but you will have total privacy and access to an actual vineyard. If you do happen to venture outside the gates, it’s located close to Franklin Canyon Park, which is famous for doubling as the spooky woods in the original Twin Peaks. 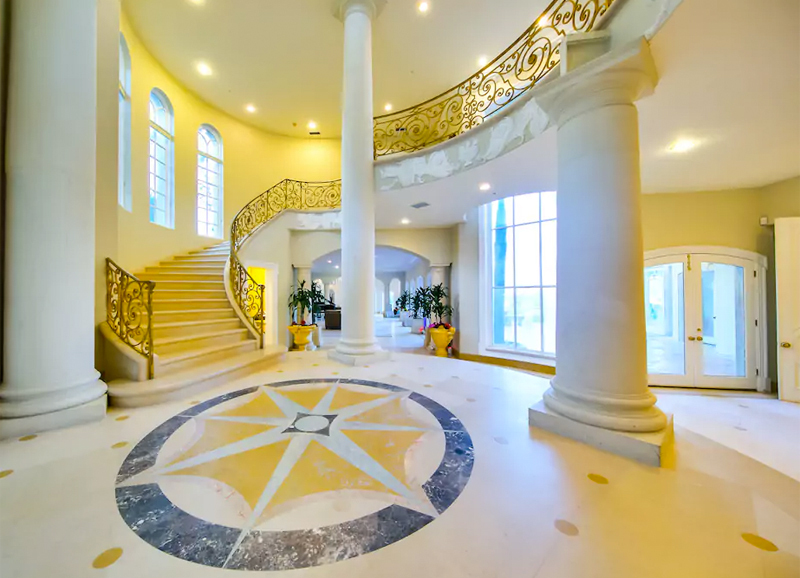 This epic, 25-room, 13,000-square-foot mansion in Bel-Air is fit for a (fresh) prince (sorry). Located inside the now-famous gated community, you’ll gain access to spectacular views, a pool, an atrium, and plenty of Roman columns for good measure. Matthew O’Shannessy is a writer living in Los Angeles. He grew up in Tasmania, Australia and moved to LA via Melbourne where he joined an art collective and worked for the Melbourne International Film Festival. His work has been published in various magazines and he's currently co-editing an arts anthology. He lives in Echo Park, but you can often find him scouting out the San Fernando Valley.